LOOKING TO BUILD YOUR DREAM HOME? WANT 2 BE MINUTES TO EVERYTHING BUT STILL HAVE PRIVACY? ARE U TRYING TO FIND A FAMILY SUBDIVISION? LOOK NO FURTHER! 6 PICTURESQUE ACRES WITH GENTLY ROLLING TERRAIN. APPROVED 4 BDRM CONVENTIONAL SEPTIC PERC ALREADY ON FILE! 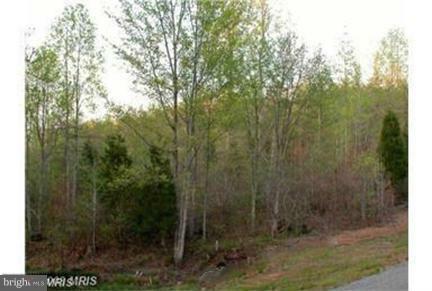 THIS LOT CAN ALSO BE COMBINED WITH ANOTHER 11+ ACRE LOT! !HORSE POTENTIAL AS WELL! LOCATED CLOSE TO 95 & GOOD PROXIMITY TO NEW VRE!